#1: Don’t query too early. I have definitely done this. I was so green back then. I thought my first book was awesome and I felt so accomplished just having written it. I had no writer friends back then, only the opinions of my five closest girlfriends (who, of course, loved it!) I hadn’t taken a grammar class in many, many years. Looking back now, I can see how horrid that story was. But I didn’t know it at the time. I sent the query out and luckily one agent gave me some honest feedback, telling me I was not ready to query at all. I was a little taken back at the time, but so grateful later on when I realized she was so so right. Don’t query until you’ve gotten lots of honest critiques on the book…not just friends who’ve adored it. 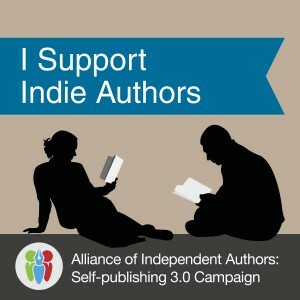 Join a writer’s group, online or in real life, put in your time by critiquing other’s work and learning from it. Be very well read in your genre so you’re aware of the clichés and can avoid them. You have to know what’s already been done. I truly feel no story is completely original, but you need to make sure your book has a different take. #2: When you’re finally ready, do your research. Visit every agent’s blog. Never rely on info published any other place ACCEPT the actual agent’s website. The info can be outdated or just plain wrong. And check their background too. 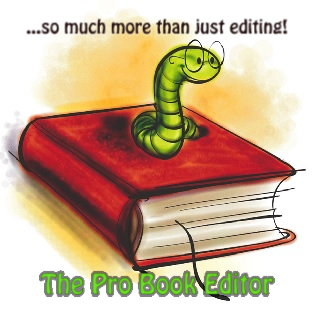 My favorite site is Predators and Editors. They’re all listed alphabetically. Just because an agent looks professional online does not mean a thing. There are plenty of bad agents out there. #3: Follow their guidelines to the tee! There’s nothing more aggravating than having instructions written out in plain English and receiving everything else under the sun. Why turn them off before they’ve even read your blurb? #4: Don’t be gimmicky. Just tell them what your story is about. Hook them. Don’t try to be funny or witty or play games. Show your voice, yes, but don’t be weird. #5: Be professional. It’s a business letter and should be treated as such. These agents are not your friend or even an acquaintance. A simple “Dear Ms. Smith” is appropriate. They are professionals and deserve respect. Get their name correct, get their gender correct. 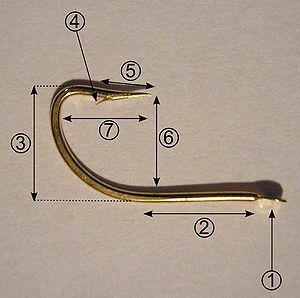 #6: Hook them as simply and fast as possible. We’re talking main character, main plot here. No need for subplots and details on the character’s second cousin’s wife’s sister. But leave them hanging and wanting more. Do not give the whole thing away. That’s what a synopsis is for. A query should only tell the first 1/3 of the book. When I read that piece of advice, it all clicked for me. #7: Bio is a must, but keep it to pertinent info only. No one cares what writers group you belong to, unless it’s a national organization. 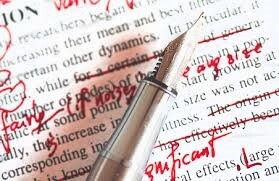 No one cares if this is your first and eightieth novel you’ve written. List your publishing credits including anthologies and online contests, but if there are many, choose only the most recent. And list only contests you have placed well in. Do not include blog posts or letters to the editor for your local newspaper. If you have nothing for a bio…well…maybe you should try and get something before you query. There are tons of fiction contests online, magazines, etc… My favorite listing is Duotrope. They list all kinds of magazines that publish works of all lengths, including flash fiction, which can be a great way to get a few pub creds under your belt. My first ever published work was a flash fiction contest through an online magazine. I didn’t win, but I placed top 10. My story was published on their website and it was a great start. I placed in a couple more of their contests after that. There was a fee, but it was minimal and well worth being able to type it into my bio! #8: End it with a simple “Thank you for your time.” Sad but true, you’ll be lucky if they even make it that far. #9: If you’re still sending snail mail queries, first of all, make sure the agent is open to them. Most agencies are going green and prefer email queries. But if you find an agent who does want a paper submission, make sure to include a self-addressed stamped envelope if you’d like a response. #10: Don’t stalk/email them for status updates. Agents get hundreds of submissions. I read lot of agent blogs and often they will comment on how full their inboxes are and how hard it is to get to them. Their priorities, first and foremost, are with their current clients. I wouldn’t expect anything less. That’s how I would want to be treated if I were their client. Again, it’s an issue of respecting them. If you’re constantly bugging them for an answer…guess where their respect for you goes?? Some agents will list a response time frame on their websites and will ask that you contact them if you have not heard back after that time frame. Then it is okay to send a quick email. #11: Sit back and brace yourself for the rejections. They WILL come. It is a part of this business. Most times it’s nothing personal. You’re just not a right fit. They may already have a client with a similar story. They may just want something different. Will they tell you this?? Most likely not. Usually it’s a plain form rejection. Under no circumstance email them after the rejection. They don’t have time to explain. Even a “thank you” email just clogs up their inbox. #12: Do not re-query unless A) a significant time period has passed (I say at least a year) and B) you have made significant changes to the story. So there it is. The dozen pieces of query advice I have. I’m no expert, but I think I have some decent advice to give. Good luck. You’ll need it!